Is a Friar a Priest or a Brother? He could be both! The term "friar" comes from the Latin word “frater”—literally, "brother.” As such, all Franciscan friars are considered brothers to one another, regardless of whether or not they are ordained to the priesthood. You cannot tell the difference between a Franciscan priest or lay brother within our community; we wear the same Franciscan habit of penance. As brothers and priests we both belong to what is called the “religious-consecrated life.” That’s a “church term” for a life characterized by the public profession of our commitment—our “vows” to live the evangelical counsels of poverty, chastity, and obedience. We do this in a stable state of life—the community of brothers recognized by the Catholic Church as the Order of Friars Minor. “Friars Minor” literally means “lesser brothers”, and that is what we are meant to be—the lesser brothers of others. A religious brother is a lay friar (in the sense of not being ordained) who commits himself to following Christ in the consecrated life of the Church. He publicly professes the evangelical counsels of poverty, chastity, and obedience. By practicing the evangelical counsels, his life becomes dedicated to following Christ more closely under the action of the Holy Spirit, a life dedicated to the building up of the Church (the People of God) through perfect charity (love), while serving the Kingdom of God. According to canon law, brothers are neither "lay nor clerical" but instead belong to the religious state of life. Brothers use their natural talents, abilities, and education to build up the Church and the Kingdom of God. Today you'll find religious brothers serving as social workers, nurses, artist, musicians, teachers, carpenters, and chefs. They journey with the People of God as brothers. A religious priest is an ordained friar who commits himself to following Christ in the consecrated life of the Church. He publicly professes the evangelical counsels of poverty, chastity, and obedience. By practicing the evangelical counsels, his life becomes dedicated to following Christ more closely under the action of the Holy Spirit, a life dedicated to the building up of the Church (the People of God) through perfect charity (love), while serving the Kingdom of God. A friar-priest has received the Sacrament of Holy Orders and is ordained to the ministerial priesthood. As a friar-priest he builds up the Church by administering and presiding over the sacramental life of the Church. Friar-priests journey with the People of God as pastors. Initial formation (postulancy and novitiate) is dedicated to the human, Christian, and Franciscan development of the candidates to follow Christ in the consecrated life of the Church. The focus is on becoming a Franciscan friar of the Order of Friars Minor, not on the priest or brother vocation. During initial formation candidates discern a calling within the consecrated life to either become a friar-brother or a friar-priest. This decision is made in conjunction with, and only with the approval of their directors. 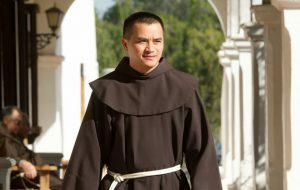 During post-novitiate, friars are later trained and educated for their ministerial and/or professional occupations as either a religious brother or a religious priest. Only after profession of solemn vows can a friar be ordained to the ministerial priesthood.